Railpictures.ca - Paul Santos Photo: A part of getting any loco back into running service is having good batteries. 5876 is positioned by a battery load tester, note the GMDD maintained at Winnipeg decal under the cab numbers. | Railpictures.ca – Canadian Railway Photography – photographie ferroviaire Canadienne. Caption: A part of getting any loco back into running service is having good batteries. 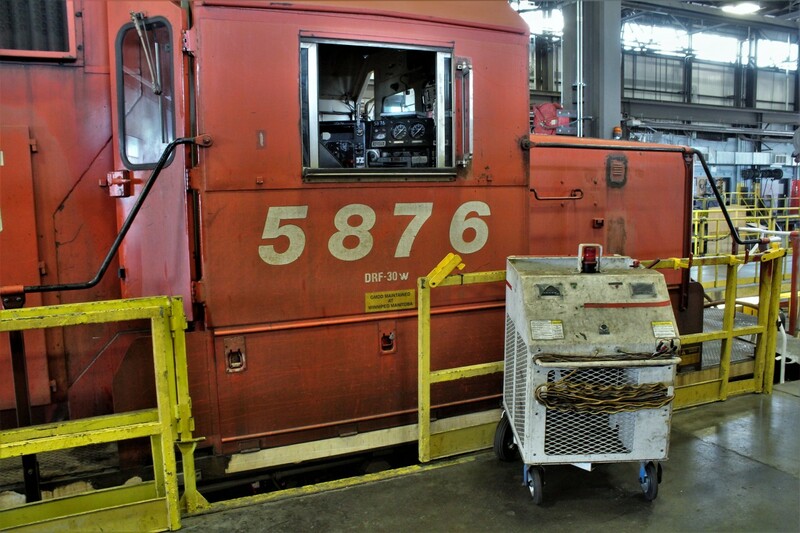 5876 is positioned by a battery load tester, note the GMDD maintained at Winnipeg decal under the cab numbers.